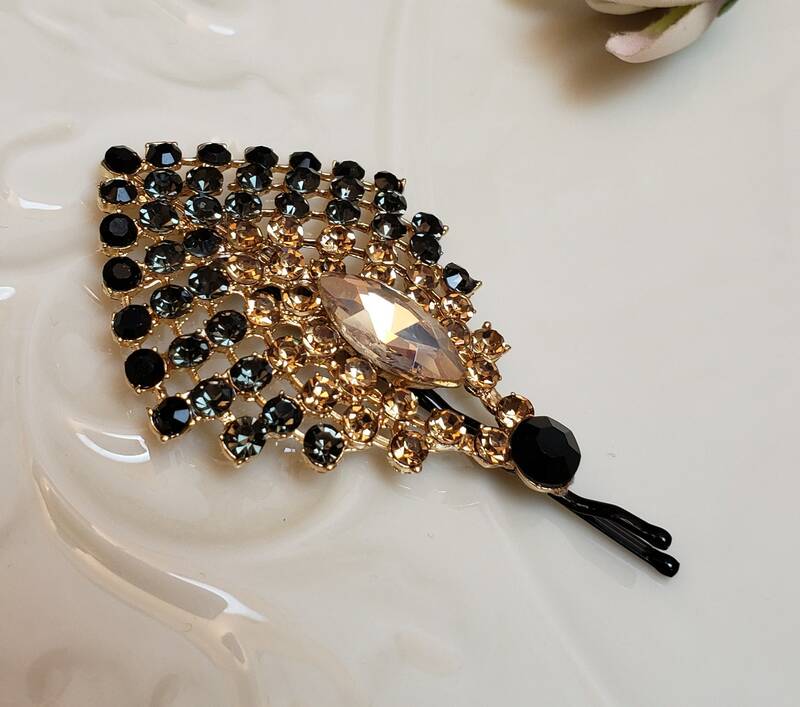 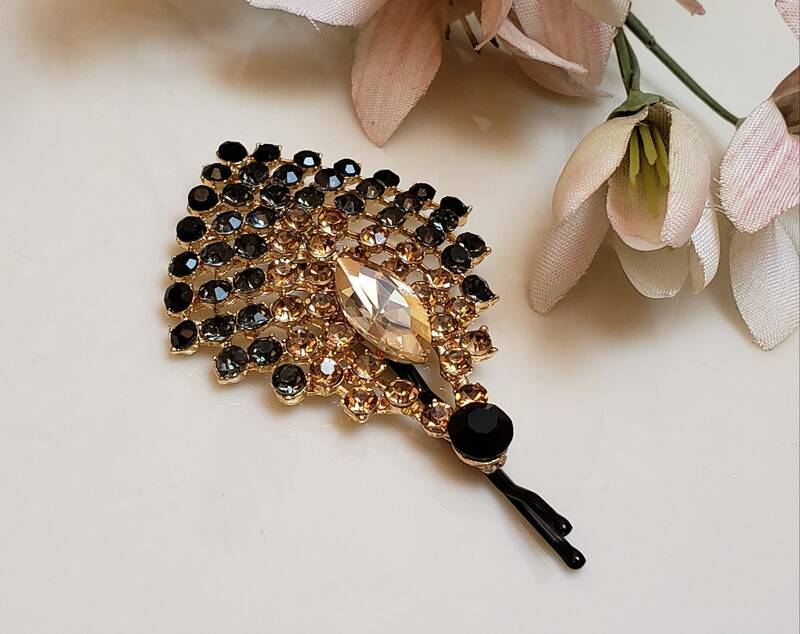 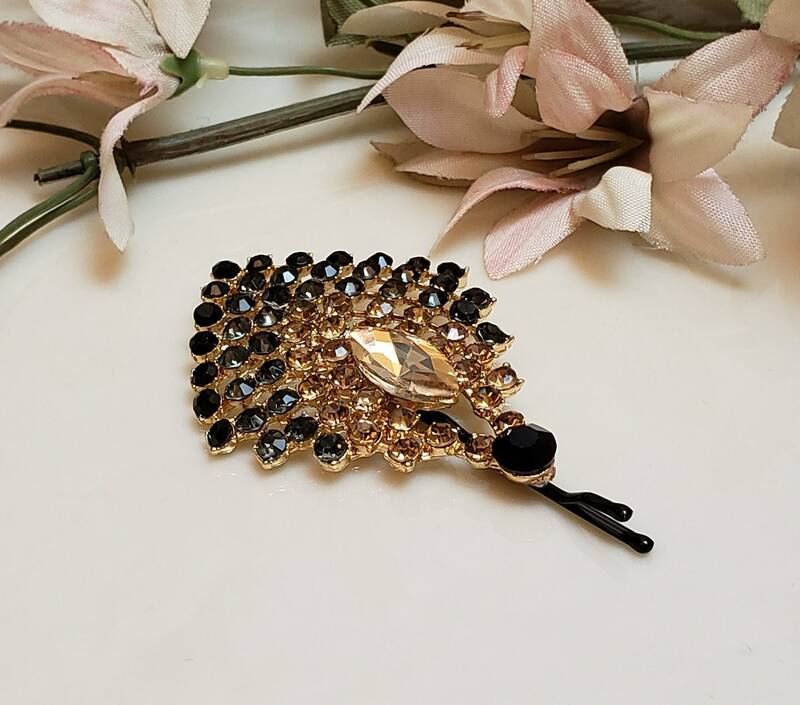 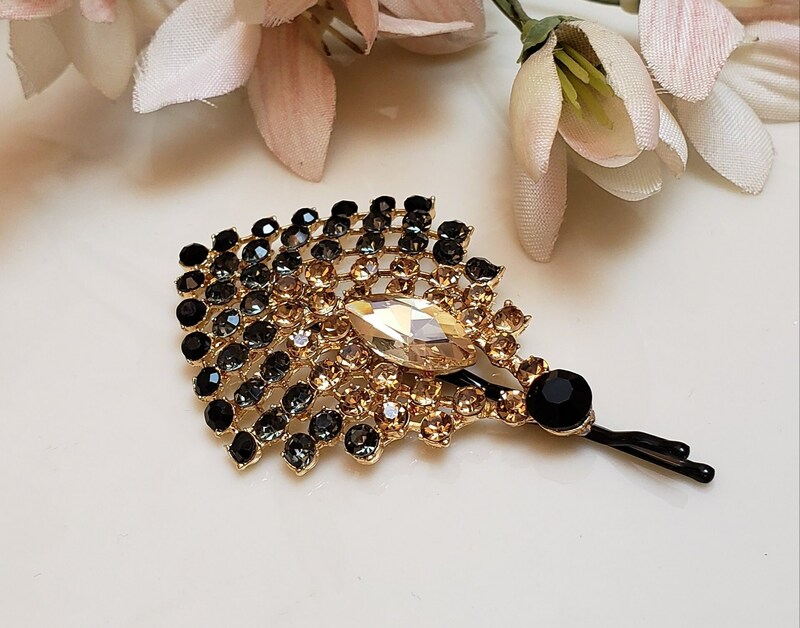 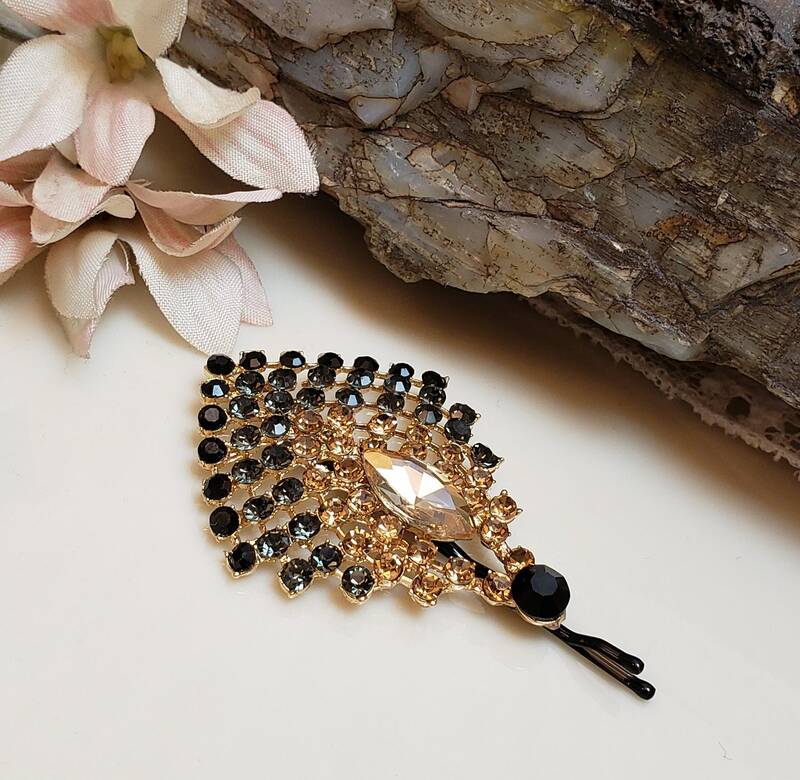 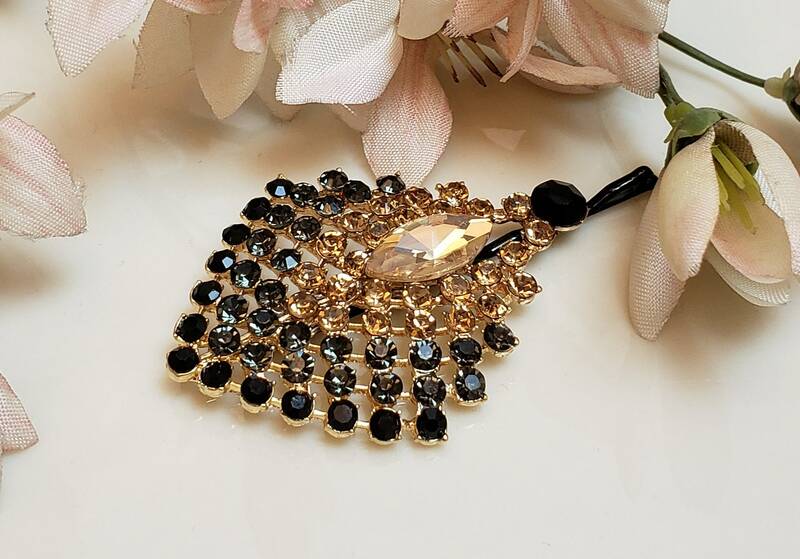 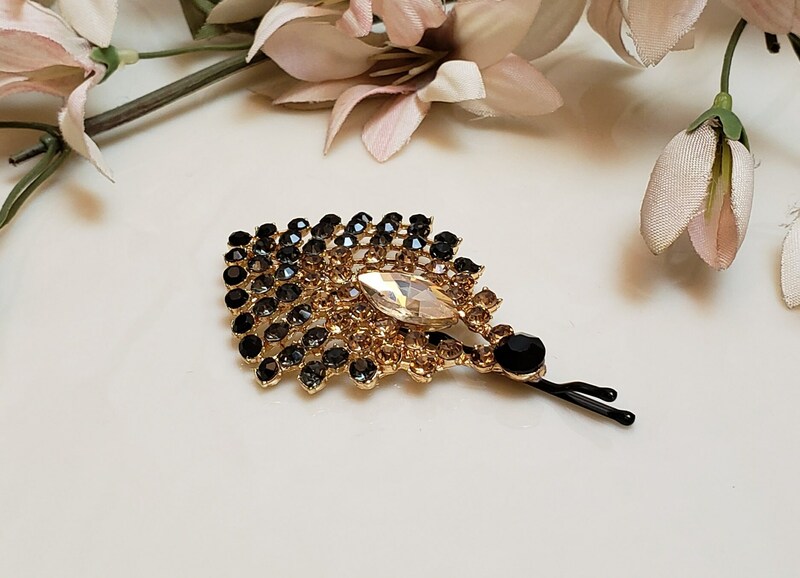 Dressy tichel and hair pin with many small sparkly stones highlighting a central gold/topaz stone. 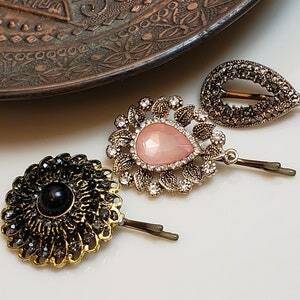 A perfect way to upgrade your hair covering in seconds. 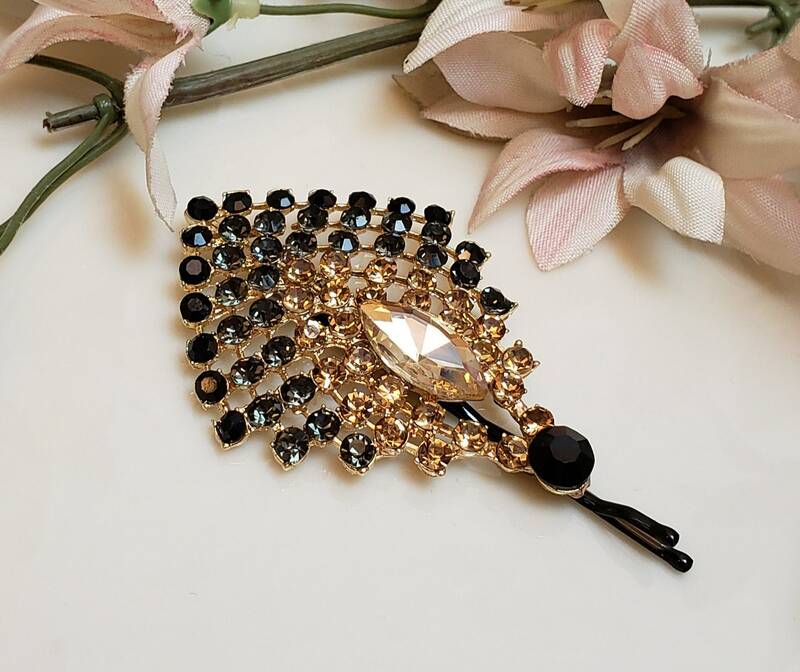 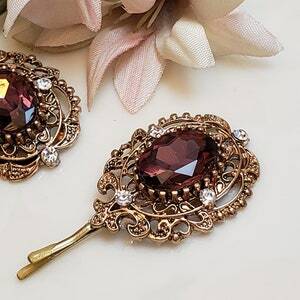 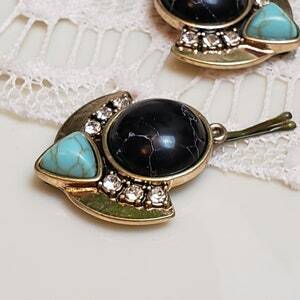 Wear for Shabbat, weddings and other special occasions! 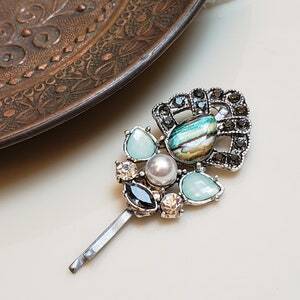 Decoration measurement: 2" x 1-1/2"